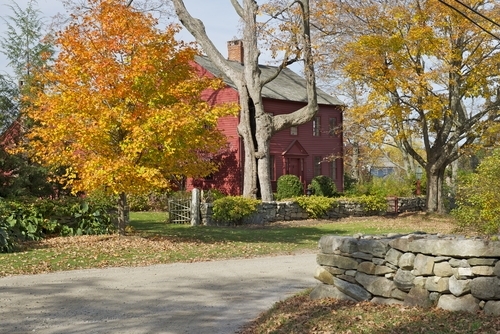 Woodstock is a rural town in northeastern Connecticut. The town is composed of six villages. It is surrounded by seven other towns. 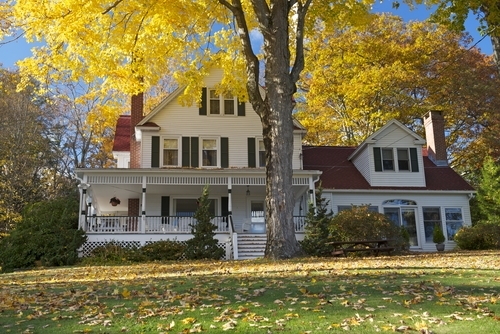 Real estate in the area includes houses with three or four bedrooms near the town's schools. These homes for sale have amenities such as family rooms, patios and decks. Houses with six or seven bedrooms are available for those who want spacious homes. There are some one-bedroom cottages in the area. Those who want large yards can buy houses on more than two acres of land. Real estate in the area also includes country estates of more than 10 acres. History lovers will find some homes for sale that were built in the 18th and 19th centuries. 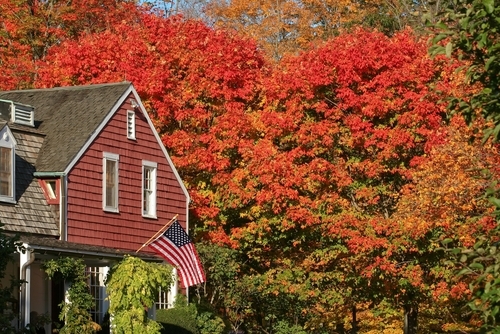 The average price for a home as of 2015 is $559,671. A playground, picnic areas, basketball courts and a lake make Roseland Park a great place for a family outing. Park visitors can go boating and fishing in the lake. There is a golf course across the street from the park. Boating, fishing and swimming are allowed in the lake at the Town Beach. There are picnic areas near the beach. Nipmuck State Forest is approximately 20 miles away. Things to do here during warm weather include hiking, picnicking and fishing. Winter visitors can go cross-country skiing and snowmobiling. People who want to learn about the town's history can visit the historical society. Places to eat in town include a British tea shop, a pizza restaurant and a delicatessen. Shops in the area sell furniture, pottery and antiques. Northeastern Connecticut Transit operates buses in the area. People who are taking vacations or business trips out of town can fly out of T.F. Green Airport in Warwick, Rhode Island, approximately 40 miles away. The closest international airport is Bradley International Airport in Windsor Locks, Connecticut, approximately 60 miles away. Train service is available from the Amtrak station in Worcester, Massachusetts, approximately 30 miles away. There are two schools in the town's school district. Students in prekindergarten through fourth grade attend the elementary school, and the middle school serves students in the fifth through eighth grades. Public high school students who live in town can attend Woodstock Academy. This independent school is not part of any school district, and the town pays the tuition at the school for Woodstock residents.